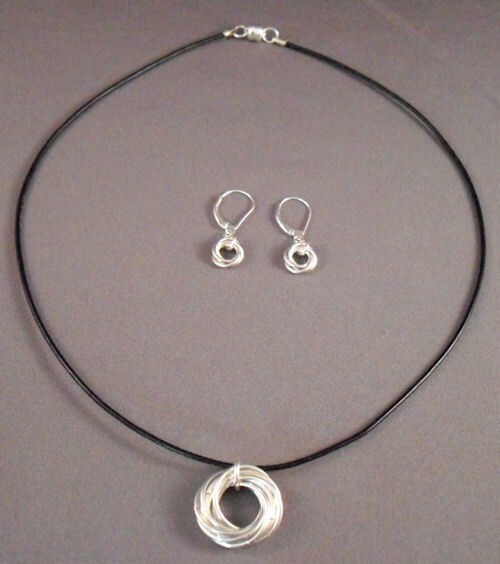 The Swirl Pendant is a simple and quite beautiful piece of jewelry. Its simplistic design is eye catching. It is pretty on a neck chain or a cord. These are not supplied in the kit. The earring pattern is included in the instructions (but not the rings unless requested). This is a beginner weave.